The JBL CLIP2 is an ultra-light, ultra-rugged and extremely-powerful portable speaker. Absolutely water-proof, the JBL CLIP2 offers eight hours of playtime, permitting you to take music anywhere you go, be it land or water. Enjoy wirelessly stream high-quality sound from your smart phone or tablet. Besides, you can wirelessly connect two JBL CLIP2 speakers together to enjoy amplified sound. Take crystal clear calls from your speaker with a touch of a button – thanks to the noise and echo-free speakerphone. The durable fabric material and rugged rubber housing allows your speaker to outlast all of your adventures. 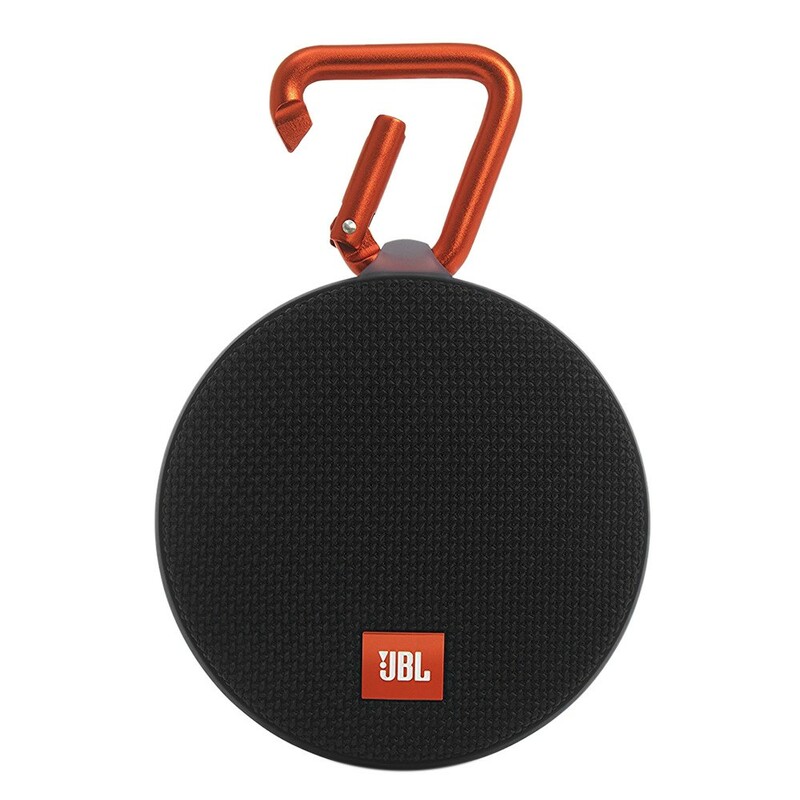 Built-in hook, so that you can hook the JBL CLIP2 onto anything you see fit and take it on all your adventures. No more worrying about rain or spills; you can even submerge the JBL CLIP2 in water. Note: IPX7 waterproof is defined as the speaker can be immersed in water up to 1m for up to 30 minutes.